What is a Partnership Church? Promise Keepers is working with many churches to see men transformed. We want to partner with your church so that your men can benefit. The first step is to link with Promise Keepers as a Partnership Church. 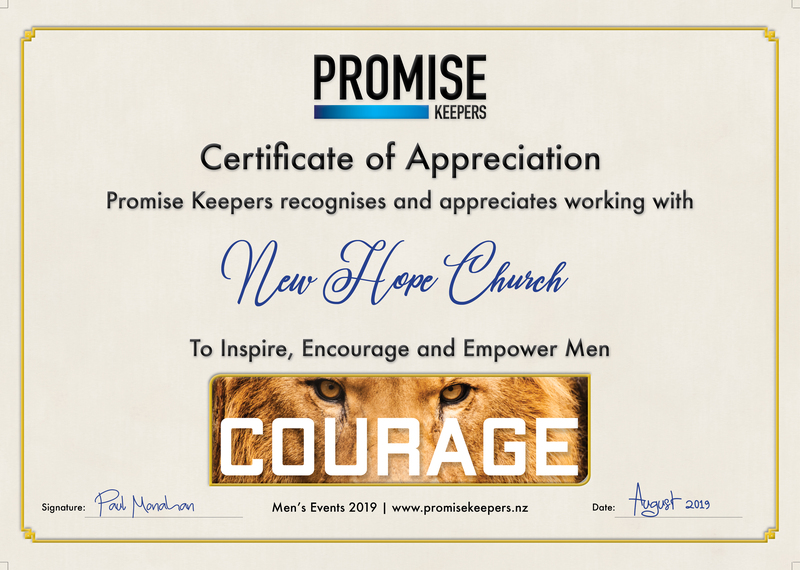 A Partnership Church makes a commitment to work with Promise Keepers in promoting and forming a Group of men to attend the Event. In return they receive extra benefits. Sign up as a Partnership Church today! PROMOTIONAL SUPPORT – Includes specialist advice for your Men’s Ministry, especially for the promotion of the annual Promise Keepers Men’s Event and helpful ideas for fundraising, roadtrips, etc. PRIORITY REGISTRATION ASSISTANCE for your Group Leader from our Group Registration Co-ordinator. CERTIFICATE OF APPRECIATION for display in your church foyer. * Group may include Pastors, Students and Transition. **Seating will be reserved only until the Events starts at 7pm on Friday night. How do we become a Partnership Church? PROMOTE Promise Keepers Men’s Event. The Strategy, with its simple week-by-week plan, is a promotional tool which gives proven results. APPOINT a Group Leader to co-ordinate and register your men as a Group for the Event. You can start a Group with only a few men, but eventually you will need a minimum of 7 men to qualify for the Group discount. Note: This is a commitment for the current Event only. Don’t delay – become a Partnership Church today by signing and returning the Sign-up form!